Infinitus Holdings (“Infinitus”) was established in 2013 to hold private equity assets on a long-term basis. Infinitus is structured as an investment holding company with a permanent capital base which provides the flexibility to maximise returns irrespective of investment time horizon. Infinitus focuses on mid-market, high growth companies across three investment pillars: Consumer, Industrial and Financial Services. Each pillar is characterised by scalable businesses with sustainable competitive advantages and strong brands, and a platform approach is utilised to accelerate growth and enhance value creation in each pillar. Infinitus is managed by an experienced team of private equity investment professionals with a proven track record of successfully acquiring, managing and exiting investments, and who are committed to long-term, sustainable value creation. Infinitus is an investment holding company with controlling or significant interests in quality unlisted businesses with sustainable competitive advantages and high growth potential. Infinitus operates across three investment pillars: Consumer, Industrial and Financial Services. 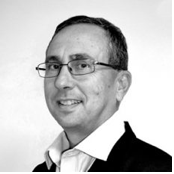 Greg has over 20 years’ experience in corporate, structured and property finance as well as significant operational exposure to a variety of businesses. He has a proven track record in deal-making, he co-founded Clearwater Capital in 2005 and grew assets to in excess of R1bn when he left to head up Cruden Bay Capital, a company focussing on private equity investments and corporate finance consulting. 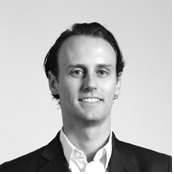 Greg has significant experience as a board member in both the listed and unlisted environment. Greg is the CEO of Infinitus Holdings and a member of the Boards of Absolute Pets, Ciba Packaging, Bridge Fund Managers, Promeal and Vital Health Foods. 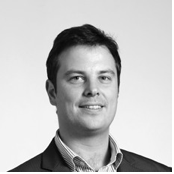 Simon holds a BSc (Hons) in Economics and Politics and is a Chartered Accountant, having gained his qualification through KPMG in London in 2005. Subsequent to KPMG, he spent four and a half years in Investment Banking at Canaccord Genuity (formerly Hawkpoint Partners), a leading UK Mergers and Acquisitions advisory firm with a focus on mid-cap and private equity deals. Simon’s broad transaction experience spans equity and debt capital raisings, M&A, corporate restructurings and BEE deals across multiple sectors. Simon is a Director of Infinitus Holdings and a member of the Boards of Vital Health Foods, Wellness Warehouse, TrenStar, Energy Amplified and True Health Holdings. Stuart obtained a Bachelor of Commerce degree in Investment Management in 2006 and an Honours degree in Economics in 2007 from the University of Stellenbosch. Stuart is in the process of obtaining a Chartered Institute of Management Accountants (CIMA) designation. Prior to joining Leaf Capital, Stuart worked as a Fund Manager for a boutique fund management company, focusing on locally listed industrial counters, and in particular stocks within the small to mid-cap space. Stuart is a member of the Boards of Absolute Pets, Wellness Warehouse, Promeal and True Health Holdings. 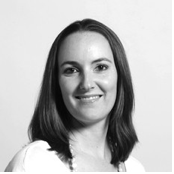 Danielle is a qualified Chartered Accountant, has a Bachelor of Commerce degree in accounting from Stellenbosch University and a post-graduate diploma in accounting from the University of Cape Town. She completed her articles at PwC in 2013 in the Financial Services department and enjoyed a secondment with PwC in Philadelphia (United States) for 3 months at the beginning of 2014, working in the Asset Management & Real Estate Division. 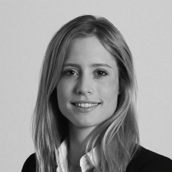 Chloë is a registered Chartered Accountant, has a Bachelor of Science degree in Zoology, a Post-Graduate Diploma in Management and a Post-Graduate Diploma in Accounting from the University of Cape Town. 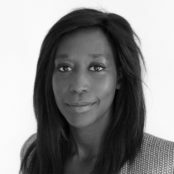 She completed her articles at KPMG in 2011, and thereafter joined Leaf Capital where she was responsible for Financial Reporting, Accounting, Audits and Tax and Secretarial Administration of many of the Leaf entities. Chloë is now responsible for the finance function of Infinitus. Marj joined the Deloitte Corporate Finance team in 2008 after completing her Bachelor of Business Science Management Studies at the University of Cape Town. During this time, she focused on transactional services across multiple sectors, and assisted in the establishment and growth of the Restructuring Services business. She also completed an 18 month secondment in Ghana and Nigeria where she played a role in developing the local teams. Absolute Pets is a specialty pet retail company currently comprising over 50 stores located in leading malls in South Africa. Absolute Pets is dedicated to the well-being, health and happiness of pets, which it achieves through the sale of a wide range of premium pet foods, accessories and services, from expert advice to grooming and veterinary care. Awesome Tools is a wholesale distributor of premium lifestyle products in Southern Africa. Brands include Leatherman, Led Lenser, Nite Ize, Opinel, Benchmade, Picquic and Eze-Lap. Vital Health Foods is South Africa’s leading independent manufacturer and distributor of branded vitamins, minerals and supplements, as well as certain health food and beverage products. In addition to the Vital brand, other branded products sold include Efamol, Wassen, Vital-Voost, Burgess & Finch, Zehra, Sister Lilian and Bach. Sales are made throughout Africa as well as into Europe, the Middle East and Asia. Vital’s contract manufacturing division, Nautilus Pharma, manufacturers on behalf of a number of local and international companies. Wellness Warehouse (Pty) Ltd is the leading independent retailer of health and wellness products and complementary services in South Africa. Founded in 2006, Wellness Warehouse is the largest specialist health store chain in South Africa. Wellness Warehouse operates across three target store formats (600m2, 300m2 and 150m2) and offers a café concept within certain stores. Wellness Warehouse also operates an online store as part of its omni-channel retail offering. Ciba Packaging is the largest manufacturer of PVC stretch/shrink film in South Africa. It is also the only manufacturer of multi-layered, seamless casings for polonies and has made significant inroads into modified atmosphere packaging (MAP) and flexible APET base and lidding for the fresh meat sector. TrenStar is a leading provider of logistics and asset management solutions utilising returnable rental packaging containers. TrenStar’s services are backed by proprietary technology and have applications across a wide range of industries, including automotive, manufacturing, retail, agriculture and medical. Infinitus has partnered with Aurora Power Solutions (Pty) Ltd to create Energy Amplified (Pty) Ltd, an energy investment company set up to take advantage of opportunities in the energy space. Energy Amplified completed its first investment in Distributed Energy Generation (Pty) Ltd – a specialist in the energy co-generation space. Bridge Fund Managers Holdings is the holding company of Bridge Fund Managers (“BFM”) and Bridge Collective Investments (“BCI”). Bridge Fund Managers Holdings, through BFM and BCI, operates as a specialist asset manager in the retail and institutional markets with assets under management of some R15.1 billion. BFM is a South African registered investment management company and an authorised financial services provider, holding FSB category 1 and 2 licenses with offices in Durban, Cape Town and Johannesburg. BCI manages a range of South African domiciled collective investment schemes and a collection of offshore funds that are managed by BFM. Bridge Private Clients and Bridge Stockbrokers are divisions of BFM that offer private client and stockbroking services respectively. Connectnet specialises in providing payment communications services (specifically point-of-sale / credit card transactions) over the GSM data networks, as well as a full suite of communication and network services to over 30,000 customers in South Africa and eight countries internationally. Infinitus acquired Connectnet in 2013, attracted by the annuity revenue and the high cash conversion nature of the business. In addition, Infinitus identified Connectnet’s large customer footprint and market leading position as an opportunity to upsell additional, complementary services, thus diversifying the earnings and locking-in customers. Infinitus was instrumental in identifying and implementing bolt-on acquisitions. Infinitus exited Connectnet to management in September 2015 for R305m, achieving an IRR of 54% and realising a money multiple of 2.1x. Infinitus acquired Milpark in 2013 and successfully exited the business in June 2014 to Apollo Global – a subsidiary of US-listed Apollo Education Group – for R328m, achieving an IRR of 91% and realising a money multiple of 2.3x. 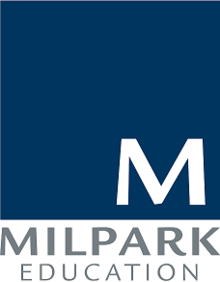 Milpark is a leading provider of educational programmes in banking, financial planning and management, with courses ranging from further education and training to higher education certificates, degrees and masters programmes. Infinitus was particularly attracted by the strong sector fundamentals and growth prospects (both in South Africa and elsewhere into Africa), particularly through distance learning. As an active private equity fund manager, Leaf Capital worked closely with management to formulate and implement a revised growth strategy, focussing on diversifying the customer base and improving the pricing model. Leaf Private Equity No. 1 en commandite Partnership (“LPE 1” or the “Fund”) was established in 2008 with committed capital of R115m. Managed by Leaf Capital, LPE1 focussed on the South African mid-market space, investing in five assets before being wound up in 2015 after successfully exiting all of its investments. Despite coinciding with the challenging economic environment throughout the global financial crisis, Leaf Capital achieved a gross IRR of 18.4% and 2.1x money multiple for the Fund, outperforming its peer group as well as other asset classes during that period. Promeal (Pty) Ltd is the second largest own brand wet pet food manufacturer and the largest house brand manufacturer in South Africa with over 25 years’ experience. Own brands include Boss and Petley’s. Promeal provides customers with quality wholesome products as it focuses on ensuring that top class processes, practices and manufacturing standards are adhered to in order to produce only the best quality pet food. True Health Holdings (Pty) Ltd is focused on building capability in wholesale and distribution of health and wellness brands to the retail and foodservice markets in South Africa. In addition, True Health Holdings has a strong focus on selective food manufacturing, imports from strategic international partners and development and/or acquisition of relevant health and wellness brands. Current investments include Neo Trading – a sales and distribution company to the health and wellness market specialising in local producers, Absolute Organix – an established wholesaler (local and import), manufacturer (own brands and private label) and distributor of organic and natural products, with a blue chip customer base, and Natural Organic Wholesale – a consolidator and importer of health and wellness food and body care products.